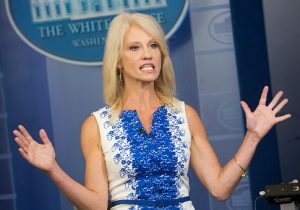 White House counselor Kellyanne Conway will lead the way on the national public health emergency involving opioid abuse as President Donald Trump's "opioid czar." Attorney General Jeff Sessions announced on Wednesday that Conway will be supervising the administration’s efforts to combat opioid addiction nationwide, the Washington Examiner reported. "The president has made this a White House priority," Sessions said. "He asked her to coordinate and lead the effort from the White House." Trump declared the opioid crisis a national public health emergency in October of this year and also appointed New Jersey Gov. Chris Christie (R.) to a panel focusing on opioid abuse earlier this year. At a hearing of the House Oversight and Government Reform Committee on Tuesday, Christie said more funding was needed than the $1 billion made available last year in the 21st Century Cures Act. "In New Jersey, we are spending $500 million," Christie said. "I am not, quite frankly, impressed with the $1 billion from the federal government for the nation." Conway has been involved with the effort to end the crisis in the past few months as well. "She is exceedingly talented," Sessions added about Conway on Wednesday. "She understands messaging." The announcement comes shortly after chairman of the Health, Education, Labor and Pensions Committee Sen. Lamar Alexander (R., Tenn.) said he opposed Trump’s decision to appoint an "opioid czar." Alexander said he would prefer the health and human services secretary oversee efforts to end the epidemic.